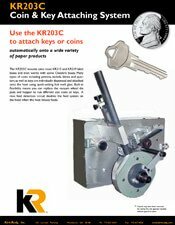 The KR203C mounts onto most KR215 and KR219 label bases and even works with some Cheshire bases. Many types of coins including pennies, nickels, dimes and quarters as well as keys are individually dispensed and attached onto the host using quick-setting hot melt glue. 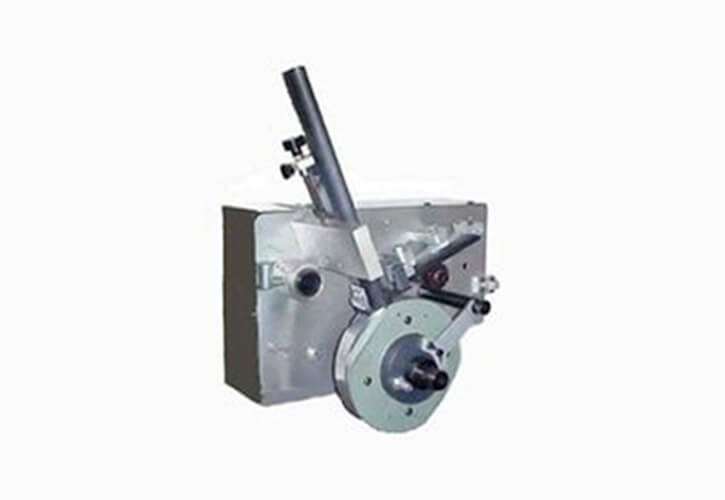 Built-in flexibility means you can replace the vacuum wheel die pads and hopper to run different size coins or keys. A miss feed detection circuit disables the feed system on the head when the host miss feeds.